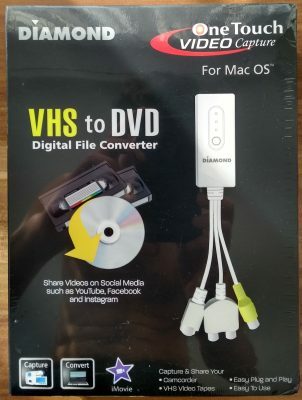 After around one year having acquired back an Amiga 1200 on second hand market I have decided to buy also a memory + accelerator card to profit 100% of WHDLoad games and, in general, to have a better experience of the full machine usage. 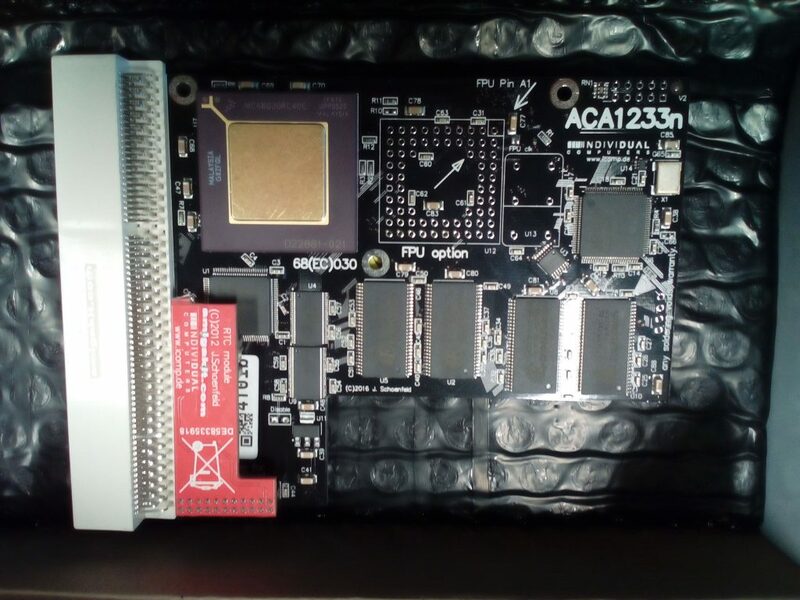 My choice fallen on ACA1233n 40 Mhz, produced by Individual Computers, bought on AmigaKit website. Together with the ACA1233n I bought also an RTC module. 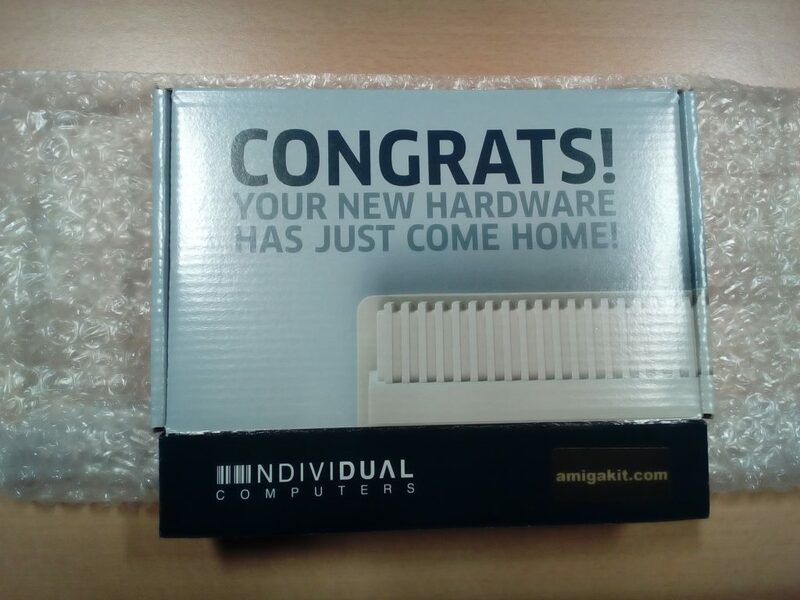 The box arrived 4 days after my purchase, and the package looked at first glance well done and professional (the same level as previous experience purchase on AmigaKit). The board was well boxed and protected, the package was functional but at the same time professional and elegant. The RTC module was already connected to the board (the red part on the picture below). Package was completed by 2 A4 printed manuals: 1 for the ACA1233n and the other one for the RTC module.